To celebrate Seed Week we’ve brought together a list of producers who are all committed to cultivating, selecting and saving the best possible quality organic seed. By supporting small-scale producers based here in the UK and Ireland you cast a vote for an ecologically sane seed and food system that doesn’t cost the Earth. So whether you’re based in Coventry or County Clare, find a seed producer near to you or reach out to your regional seed coordinator to find out more. 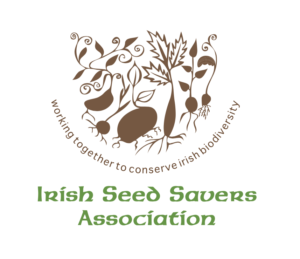 The Irish Seed Savers Association is conserving Ireland’s specialised plant genetic resources by preserving heritage food crop varieties suitable to Ireland’s unique growing conditions. Irish Seed Savers are responsible for maintaining Ireland’s public seed bank, with over 600 non-commercially viable varieties of seed. Their work also incorporates locating rare varieties of vegetables, soft fruit, flowers, grains, potatoes and apple trees in order to research and gather more information on these species. The Irish Seed Savers run workshops throughout the year, informing and teaching others how to save seeds, grow their own food and be self sustainable. They grow, preserve, conserve and share both their seeds, their knowledge and their love for the land! We interviewed Wayne Frankham from the Irish Seed Savers to find out where his passion from seed originated. Vital Seeds is an independent seed company based in Devon, producing and selling organic and ecologically produced open-pollinated vegetable, herb and flower seed for home-growers and small-scale market growers. Vital seeds was founded in 2018, in response to the lack of availability of UK-grown, organic and open pollinated seeds. Co-founders Fred Groom and Ronja Schlumberger offer a sustainable and local alternative to the majority of seeds that are planted in the UK, many of which are grown thousands of miles away in countries with a dryer climate and cheaper labour. They are based at Westford farm, on the north edge of Dartmoor. Here in their converted barn, they process seed and test it’s germination quality in a specialist ‘germination oven’. It is here that they test their seeds twice a year to check it’s still top quality. Part of Vital Seed’s mission is to re-skill gardeners and growers in how to save their own seed, and to revive this ancient and fascinating craft. We interviewed Fred Groom to find out more about Vital Seeds and some of his favourite varieties. The Seed Co-operative is a community-owned seed company who believe passionately in breeding open pollinated and affordable seeds that everyone can grow for the coming year. The Seed Co-operative was founded by David Price and Kate Ayre who share the responsibilities of developing the organisation, growing seed and managing their online shop. They sell a wide range of vegetables, flowers and herbs and green manures. The Seed Co-Operative initially began on a small scale organic farm in Laxfield, Suffolk in 2015, but moved to Gosberton Bank Nursery in South Lincolnshire earlier this year, on a total site of 24 acres. They are committed to building a resilient food system that will benefit everyone through access to seed, advice and training. There are regular volunteering opportunities for people who live locally, or for those travelling from further afield. We interviewed David Price to hear more about his passion for diversity and cooperative working. Real Seeds have been producing seed for over 17 years, founded by Kate McEvoy and Ben Gabel. Real Seeds was born in Cambridge in the 1990s, before moving to Spain for several years and finally settling in Pembrokeshire, West Wales. They aim to assemble the best collection of reliable and interesting non-hybrid vegetables for the home gardener, allotment grower or smallholder. Over the years Kate and Ben have tried thousands of vegetable varieties and collected together what they believe are the best vegetables for the home garden. Due to these seeds being non-hybrid seeds, you can use your own seed for future use; there’s no need buy new ones each year. They sell a wide range of vegetable seeds including kohlrabi, fungi, tomatoes and Nasturtiums. We interviewed Kate McEvoy, co-founder of Real Seeds, to find out how Real Seeds came about. The first Brown Envelope Seed Catalogue was produced by Madeline McKeever in 2004, and contained 25 varieties. Since then the number of varieties produced by Brown Envelope Seeds and the volume of seed has increased every year. All the seeds are grown on the farm and certified organic by the Organic Trust Ltd. The farm is on the Turk Head peninsula with the estuary of the Ilen River on one side and Roaring Water Bay on the other. A beautiful part of the world, where winters are mild and summers are relatively warm sunny. Visit brownenvelopeseeds.com & irishseedsavers.ie to buy your Brown Envelope Seeds. Tamar organics started as a small organic market garden in 1994 in Northern Cornwall. They are on a mission to encourage people to grow their own food and to do it organically. Using organic seeds means that you are supporting organic farmers and acres of land under organic management. Tamar Organic’s seed range includes vegetable, herb, flower, potato varieties, fruit and plant material. They began a mail order catalogue in search for organic compost, fertilizer and seed for their own use. Since then, the range has expanded each year. Take a look at the Tamar Organics website to choose seed for planting or gifting. There are many more fantastic small-scale producers and we’ll be adding to this list through the course of seed week.